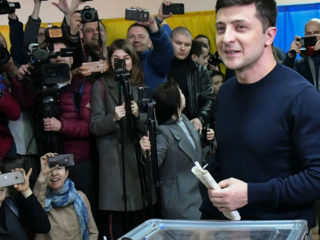 A comedian tipped to become Ukraine's next president and his incumbent rival go head-to-head in an extraordinary stadium debate Friday, as campaigning reaches its climax before a weekend vote. 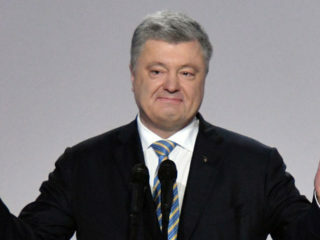 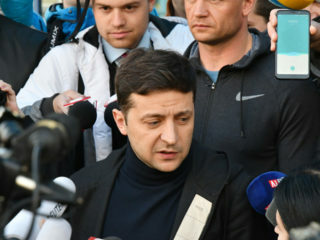 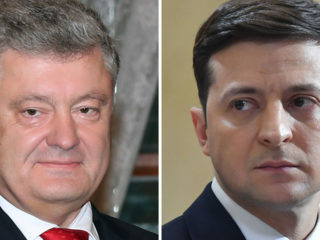 Comedian Volodymyr Zelensky and Ukrainian leader Petro Poroshenko on Wednesday finally agreed to a debate to close a presidential campaign that has at times descended into farce. 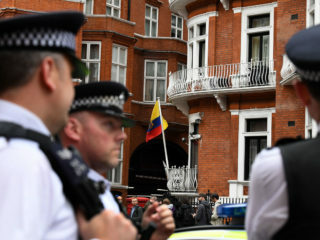 Police opened fire outside Ukraine's embassy in London on Saturday after a vehicle repeatedly rammed into the ambassador's parked car, the mission said. 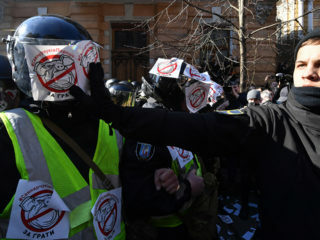 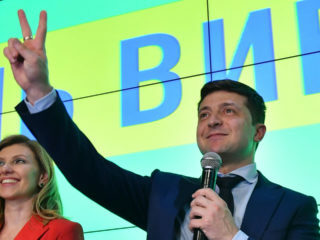 Ukraine's interior ministry on Saturday called on a comedian tipped to become the country's next president and his incumbent rival not to exacerbate tensions ahead of a run-off in a high-stakes election. 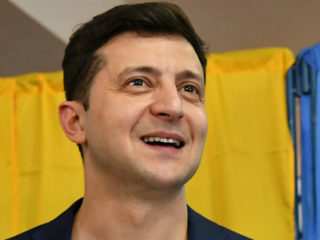 Comedian Volodymyr Zelensky is favourite to become Ukraine's president after results Monday showed him dominating a first-round vote despite many initially dismissing his candidacy as a joke. 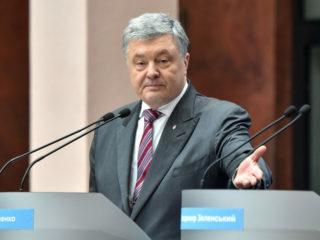 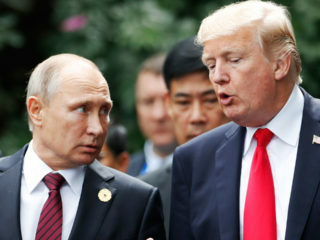 Ukraine's president signed an act imposing martial law in border regions on Wednesday as mounting tensions over Russia's seizure of Ukrainian ships saw US President Donald Trump threaten to cancel talks with Vladimir Putin.